We live in a visual culture where, with more than 2.5 billion camera phones in use, everyone has a camera in their pocket. Individuals communicate more with pictures than with words and engage with Instagram, Twitter, Pinterest, Facebook, Tumblr and other social media more than other types of media. 10% percent of photos ever taken by humankind took place in the last 12 months. Photos are becoming the “universal language.” The fastest growing social media networks are not surprisingly Facebook, Tumblr and Instagram. These social networks are the names on everyone’s lips as they have embraced the visual medium and have made it easy to upload and share images and photos online. Images have become Interactive. 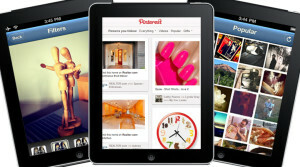 Pinterest is one of the first platforms that allow you to interact with static images. So why should you use images in your business communications, marketing and social networks? According to the National Retail Federation, there are six reasons to publish images and photos as part of your business marketing tactics. Articles published with images get 94% more total views. In an ecommerce site, 67% of consumers say the quality of a product image is “very important” in selecting and purchasing a product. All of this underscores the truth in the adage that a picture is worth more than a thousand words. Check back for a future blog that provides tips for picking the best image for your purpose. Meanwhile, for more information, contact us.